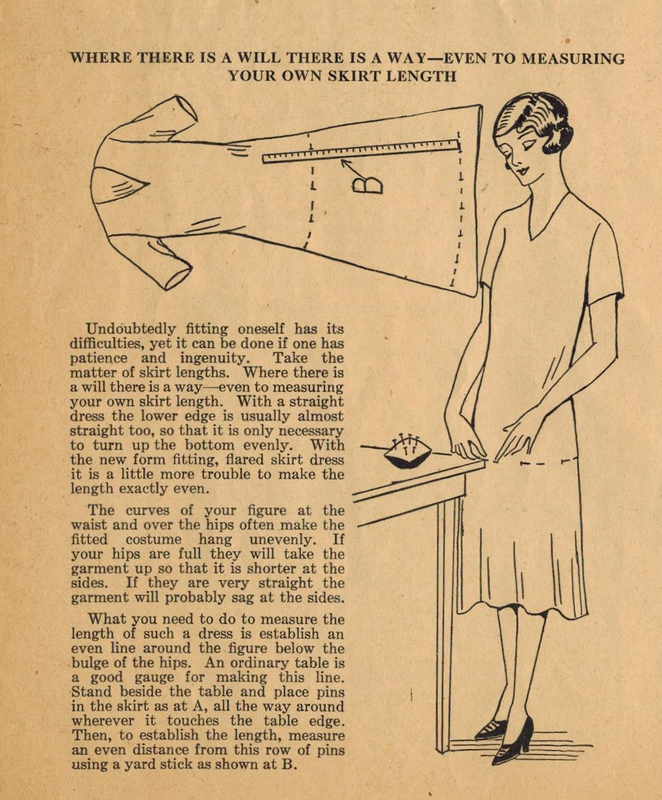 In this tip, Ruth Wyeth Spears gives her 1920s audience a rather clever technique for accurately measuring an even hemline for a frock or skirt when you have no one to help you. This is such a timeless and handy tip. Thanks, Ruth! Genius! I'm totally using this.